Dr Oz: Is Sunscreen Safe? Dr. Oz is always telling his fans to wear sunscreen when they go outside even when it isn’t super sunny but one doctor is saying his research has led him to believe that sunscreen can cause rashes, hormonal problems and maybe even cancer. So is sunscreen safe or not? Dr. Anthur Perry does not believe sunscreen is safe because of chemicals called endocrine disruptors. These are chemicals that are put into the body which interfere with the hormones in the body. His studies have suggested that when endocrine disruptors, which are in sunscreen, are applied to the skin they can lead to cancer, particularly breast cancer. Dr. Perry said endocrine disruptors are most dangerous for pregnant women because they can mess with the woman’s hormones. If a pregnant woman puts sunscreen on, the sunscreen can leak into her body and onto the fetus where it can cause the child to be born with a low birth rate. For children who are breast feeding, Dr. Arthur said the endocrine disruptors can be passed through the breast milk and into the child. Is sunscreen is safe? Dr. Oz talked with two experts about the safety of sunscreen, with one saying the endocrine disruptors in sunscreen cause cancer. Dr. Oz demonstrated how sunscreen can leak through your skin, into the tissue, onto your blood vessels and all the way into your vital organs. When this happens, the hormone makeup of those areas of the body are affected. The American Academy of Dermatology sent Dr. Elizabeth Tanzi to offer a statement about sunscreen and she said the AAD thinks sunscreen is completely safe. 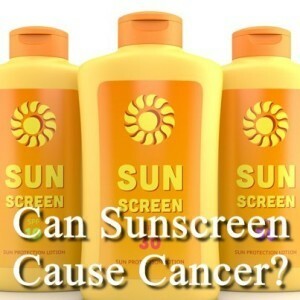 Sunscreen is the best tool we have for fighting skin cancer, a cancer developed by one in every five people. She believes just because studies were done on mice and in a lab does not mean those results can be attributed to a human. She affirmed her statement by adding numerous studies have been done to show the safety of sunscreen and not a single study has shown sunscreen to do any type of harm. She said if someone walked into her office and was concerned about breast cancer and sunscreen, she would tell the person not to worry. She would tell them to continue using sunscreen and to have regular breast exams done. 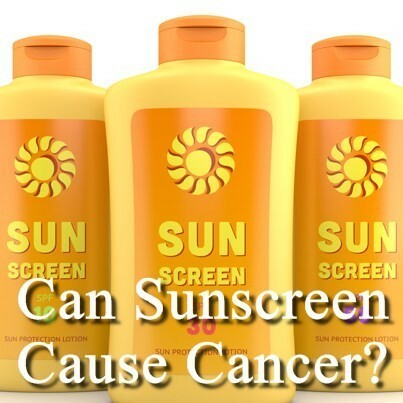 “We do not want to put patients at risk for cancer because sunscreen may cause cancer,” Dr. Tanzi said. While the ADD may say sunscreen is safe, the Endocrine Society’s Dr. Thomas Zoeller sent a letter to Dr. Oz stating that he believes endocrine disruptors could be increasing the risk for cancer in humans.